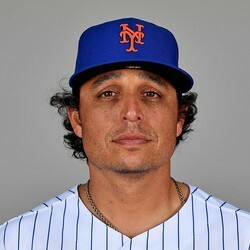 Mets starting pitcher Jason Vargas allowed one earned run on three hits and two walks while striking out four over 4 2/3 innings in a loss to the Philadelphia Phillies on Tuesday. The loss drops him to 1-1 on the season. Vargas has not pitched particularly well to start the season and now has a 7.20 ERA through four starts. If he continues to stick in the rotation for the Mets, his next start will come against the Reds at home.